While using Party chat on Xbox you might get a random Pop up with Error 0x807a1007. This Error Will no longer allow you to Use Party Chat on your Xbox. It may appear all of a sudden even when you are active with your Friends. There are Few things that you need to do to solve this Party Chat Error Code 0x807a1007, Without wasting too much of time lets jump in straight to the methods to solve the issue. We will be listing a total of 3 ways or methods that you need to perform one by one to fix this Error 0x807a1007. After performing each one, just check if that solved the problem for you, If not, jump to the next one. Method 1: Change your Location. Select new Location, For Eg: if you are in the US then select UK. Changing the location works many times for users to fix Party Chat Errors like 0x807a1007. If this doesn't work for you, then skip to next method. This Is Kind of Weird but if you wish to get rid of Error 0x807a1007 pop up then you might just have to turn Energy Saving mode ON, and you will be good to go. Steps to Turn Energy Saving Mode on. Method 3: Factory Reset your Console. This is the Last method that we will discuss to fix Error Code 0x807a1007. Do this only if both of the above method fails to fix the issue for you. Backup your games in external hard drives, otherwise you will have to download them again. Once you are ready to Factory Reset your Console, Simply got to Settings > All Settings > System > Console Info & Updates > Restore Factory Defaults. Remember this is the last thing that you will want to do. But More time then not, you will now not see Error 0x807a1007 Pop up in Party Chat. If you have any other Method with which you managed to fix this Annoying Error, then kindly share it with us in comments below. Thank you! The changing location thing worked! Once you change location can you change it back? It worked thank you soooo much! Thanks! Method 1 worked great! I've learned from the past that changing locations may cause issues in the future. So I went with the turning on power saving mode, and it worked. What does the change locations do in the future? Changing the location worked for us too. Changed to energy saving mode and it didn't work so changed from UK to US and this worked a treat. Thank you. Tried changing to Power Saving mode but didn't work so changed from UK to US and this worked a treat. Thank you. The first one worked thanks! All you have to do is take the power lead out the back for 5 seconds put it back and then turn 9n again.If all else fails make sure your NAT Settings are open. How do you check your NAT settings? This is the best method by far. If your USB ports ever become unresponsive this also works a treat for that too. 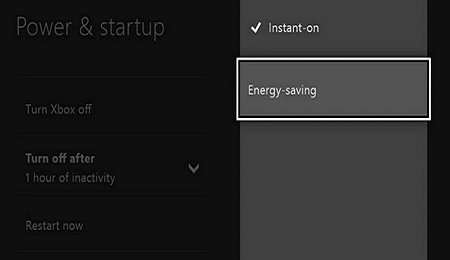 What do you do if you already have power saving mode on? Thank you so much! The first one worked great! First one! Thank you very much. You are welcome, Thanks for letting me know the method that worked for you. I love you soooooooooooo much the location thing worked for me, your the G.O.A.T. Thank you so much! This information helped me fix the error I kept getting. Another method that worked was unplugging the power cable and leaving it for a minute or two, then plugging it back in. Once again, thank you!